"How? Simple I found a 'Fool Proof Method' and turned it into profits. I call it my because I had no idea what I was doing. I'm not even sure I completely understand it now." I suppose it's possible that he is doing rewrites of actual testimonials, but I watched the video for the gig here and that's not what it sounded like. 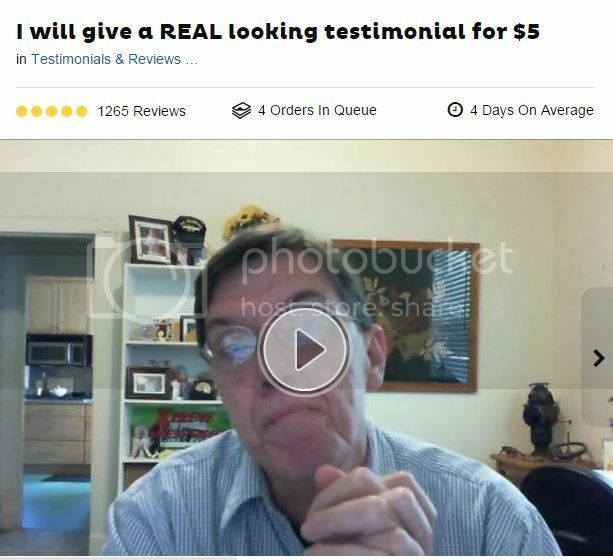 Let's be honest, they could supply a script and say it's a legit testimonial. The guy doing the video just gets paid $5 so I don't think he cares that much. Yeh. 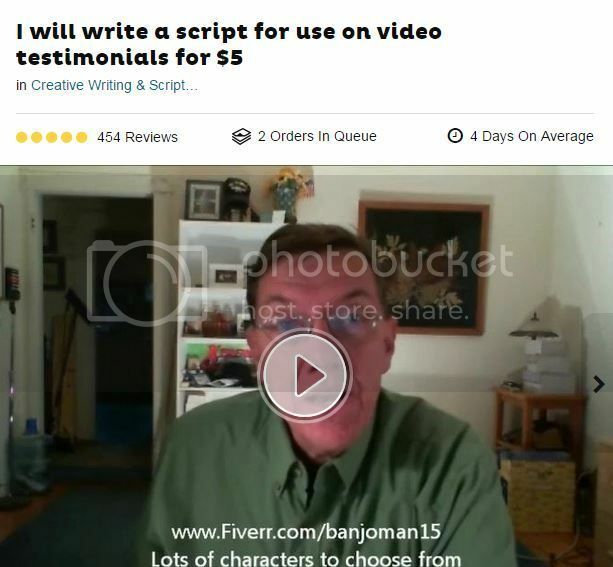 "I prefer that you send a story from an existing satisfied customer...but come on five bucks is five bucks!"